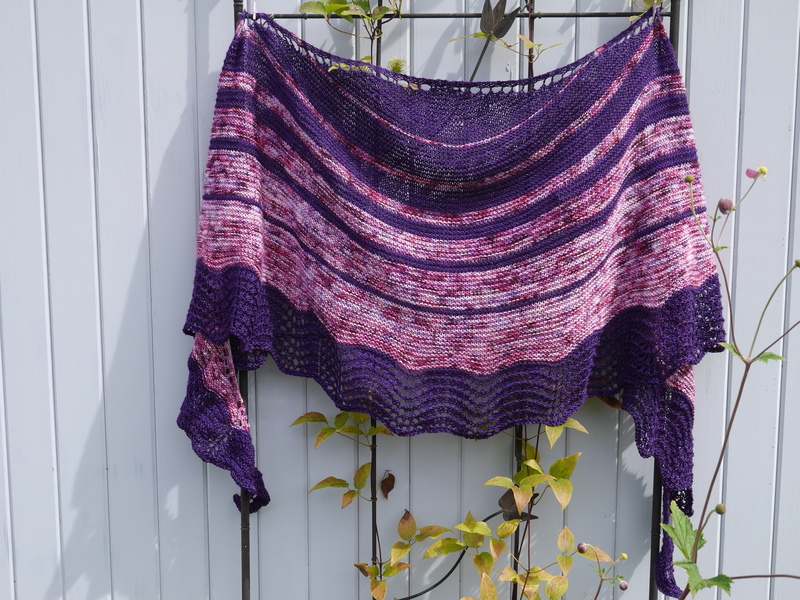 Rosaria is a half-pi shawlette knit in two colors. 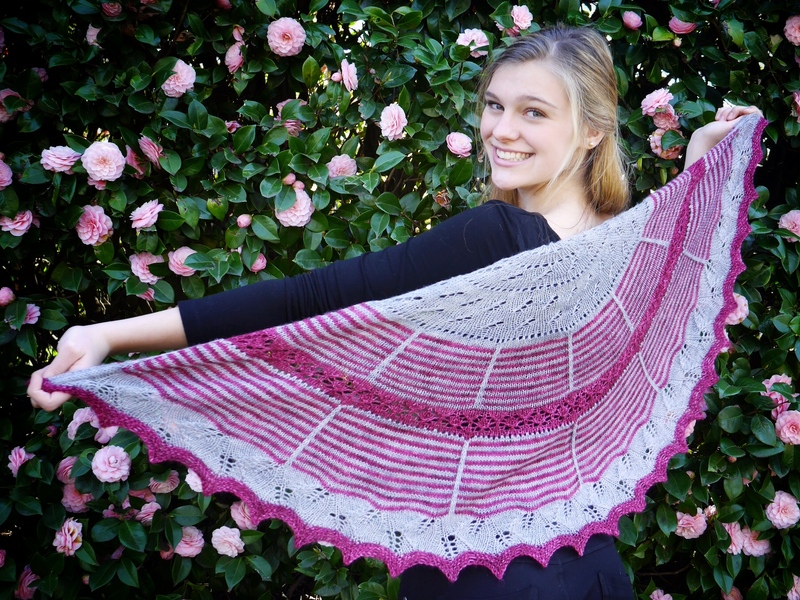 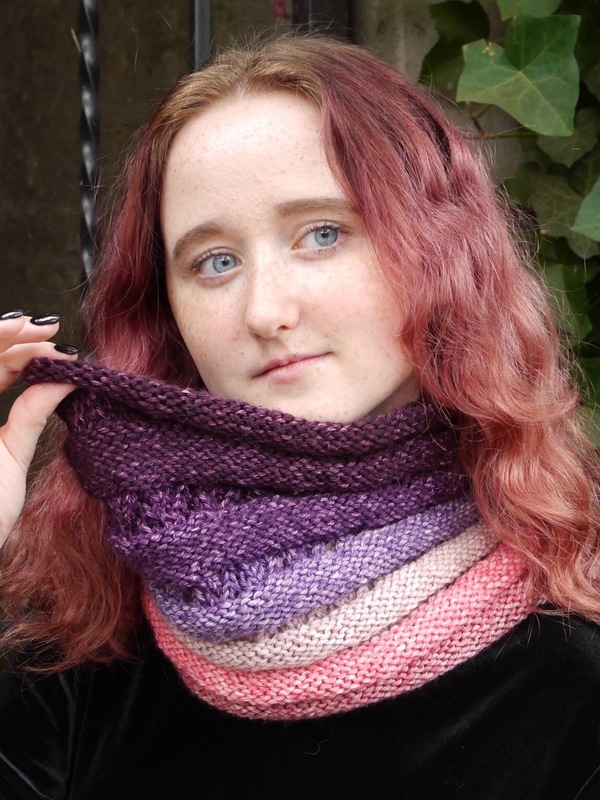 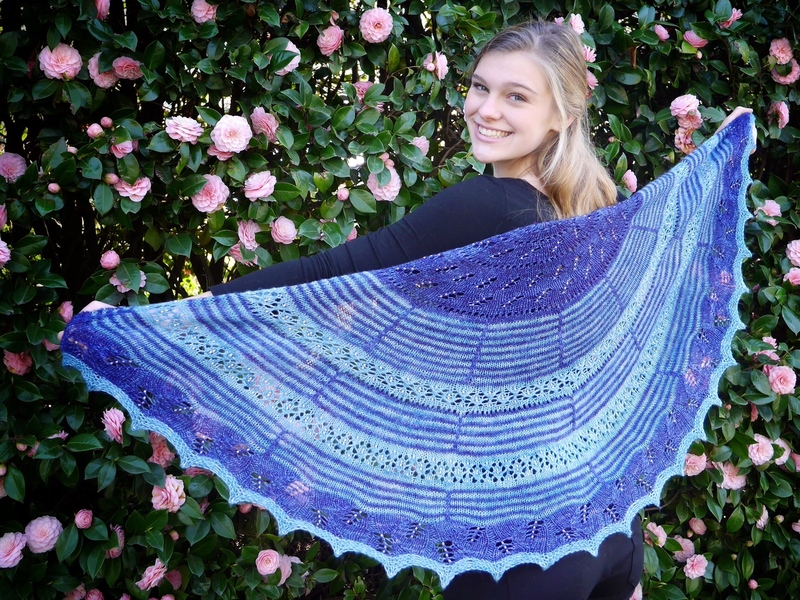 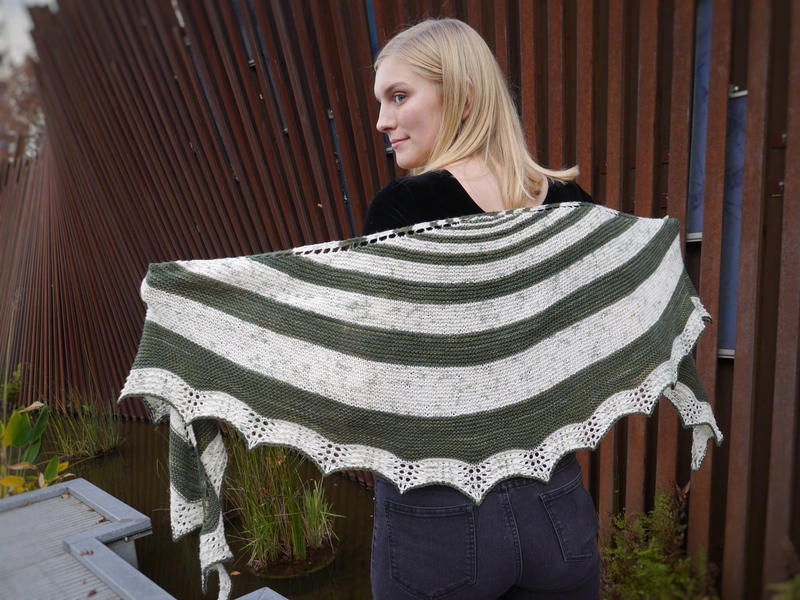 I designed this shawlette for the first ever Rose City Yarn Crawl Mystery Knit Along in 2014. 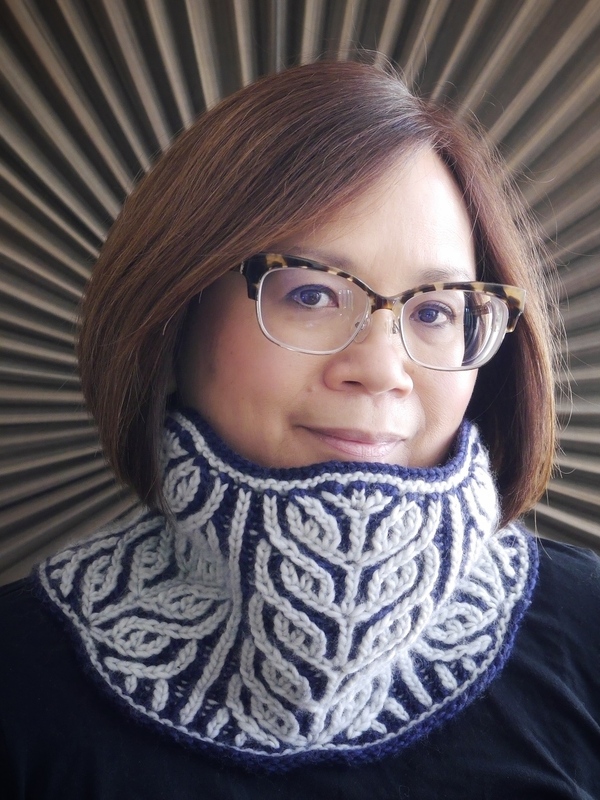 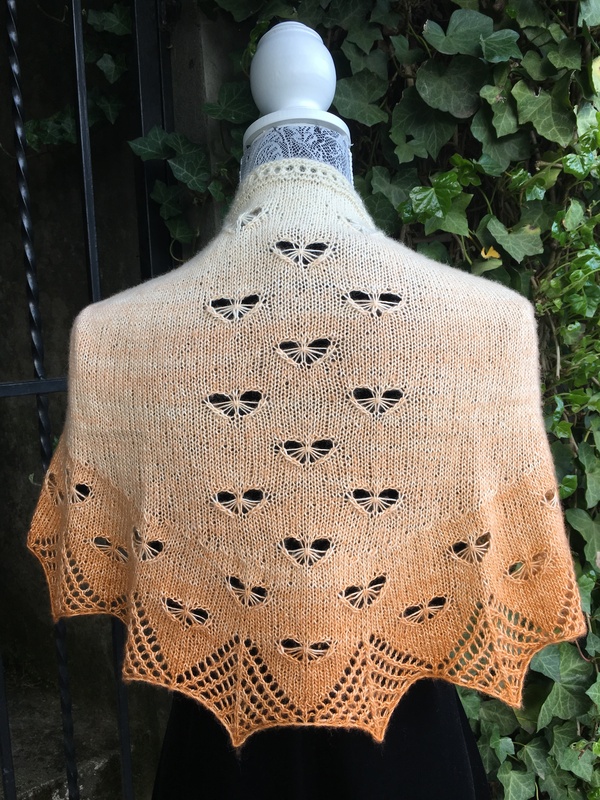 Originally an exclusive for the Rose City Yarn Crawl, Rosaria is now available from PDXKnitterati through Ravelry download April 2015. 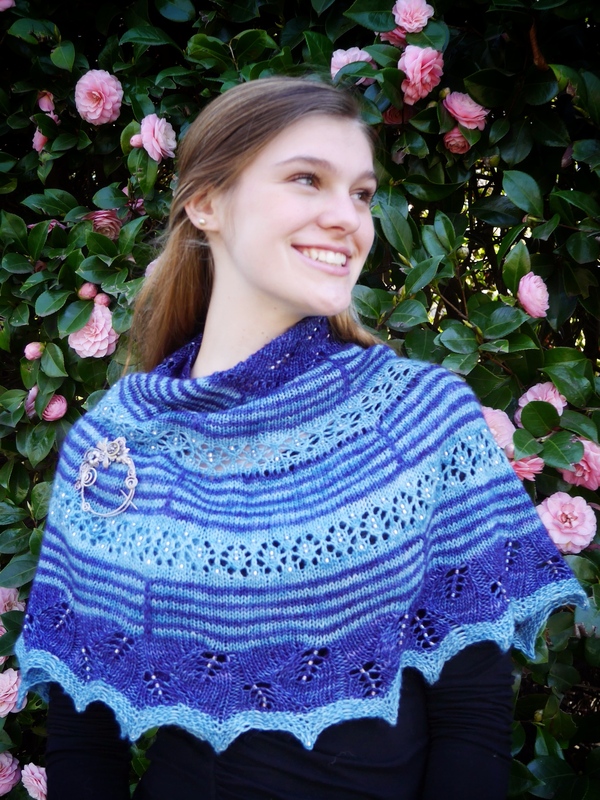 The newly released pattern contains information on making a larger version of the shawlette, and optimum placement of beads. 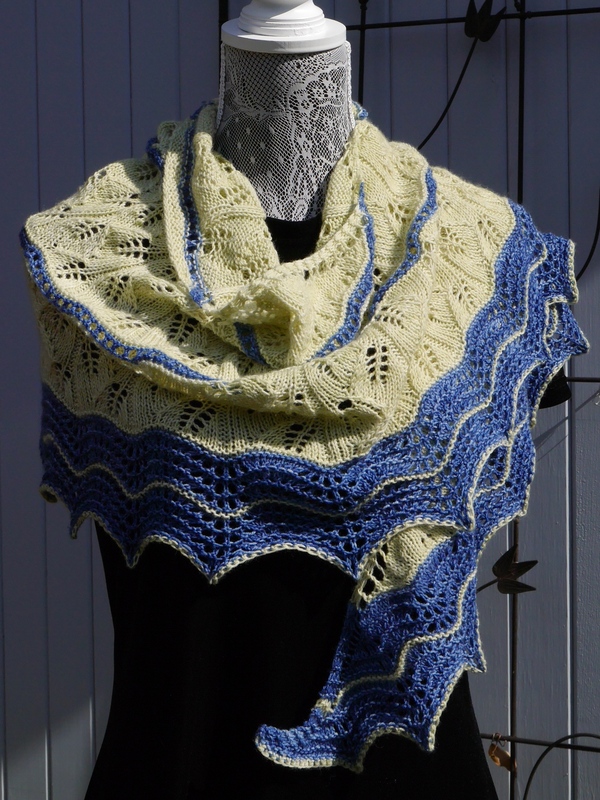 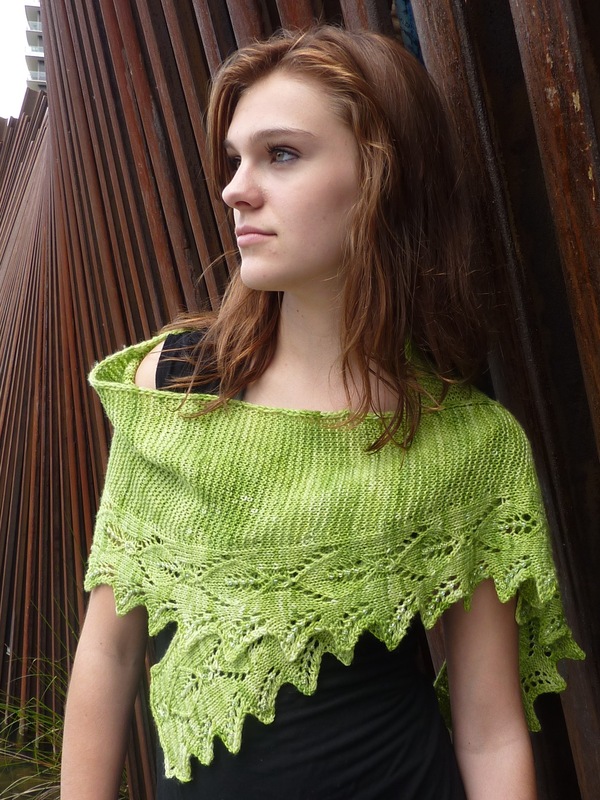 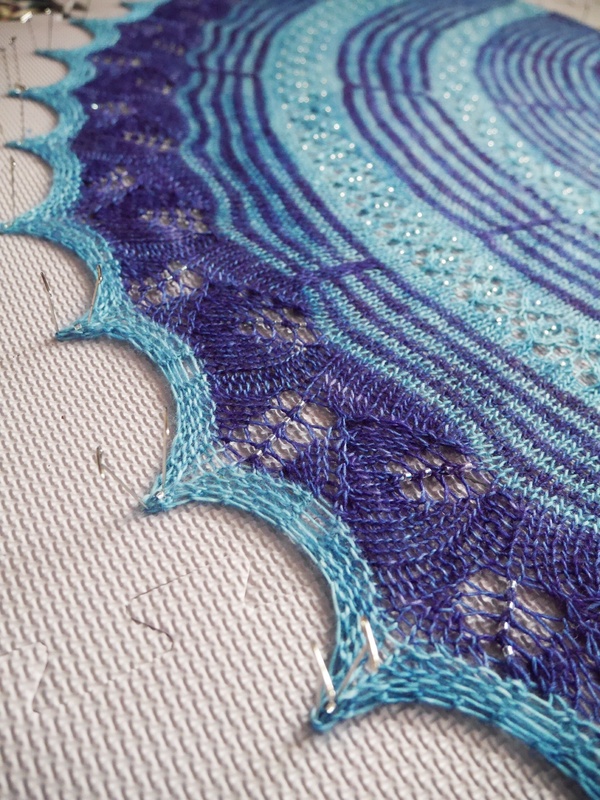 This shawlette is very customizable, with the opportunity to add beads, and more knitting. 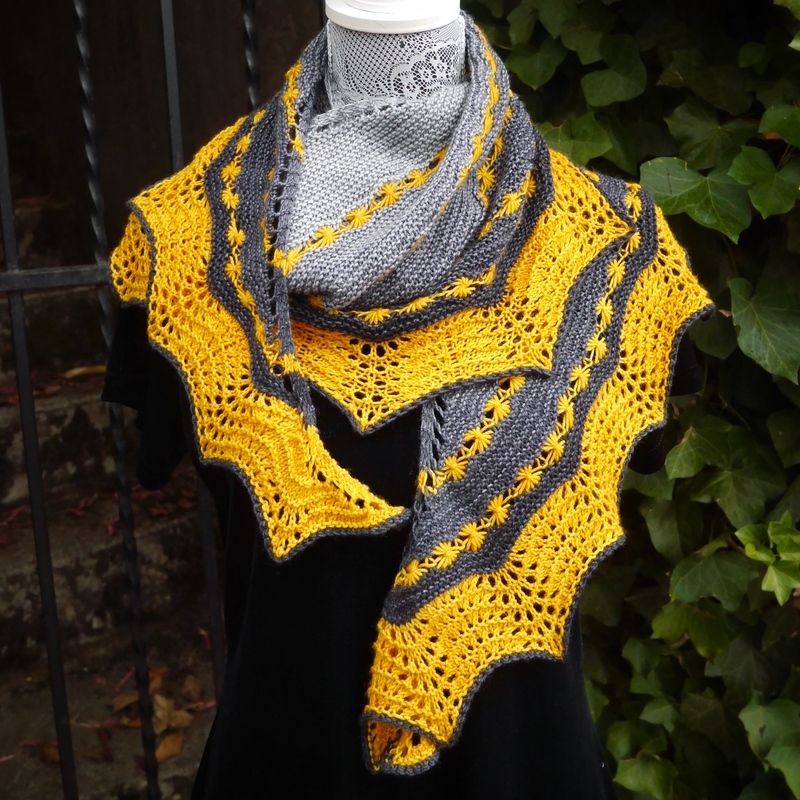 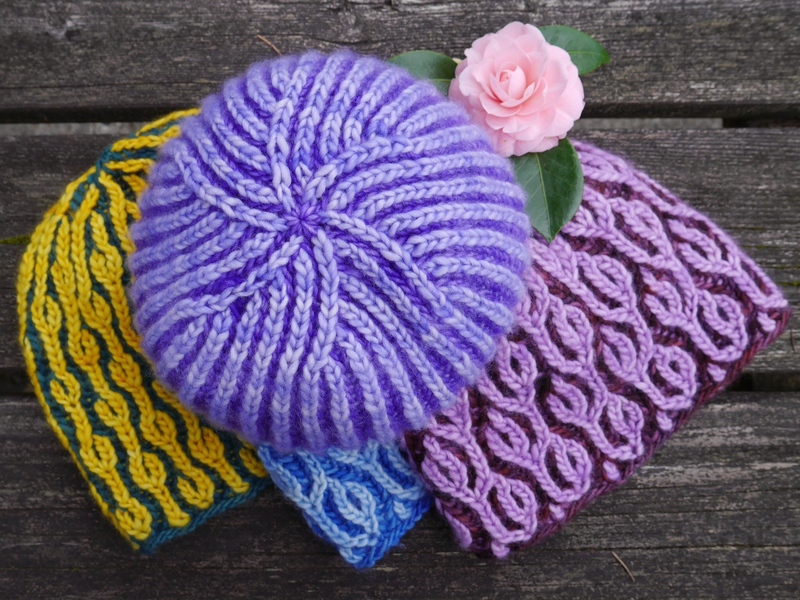 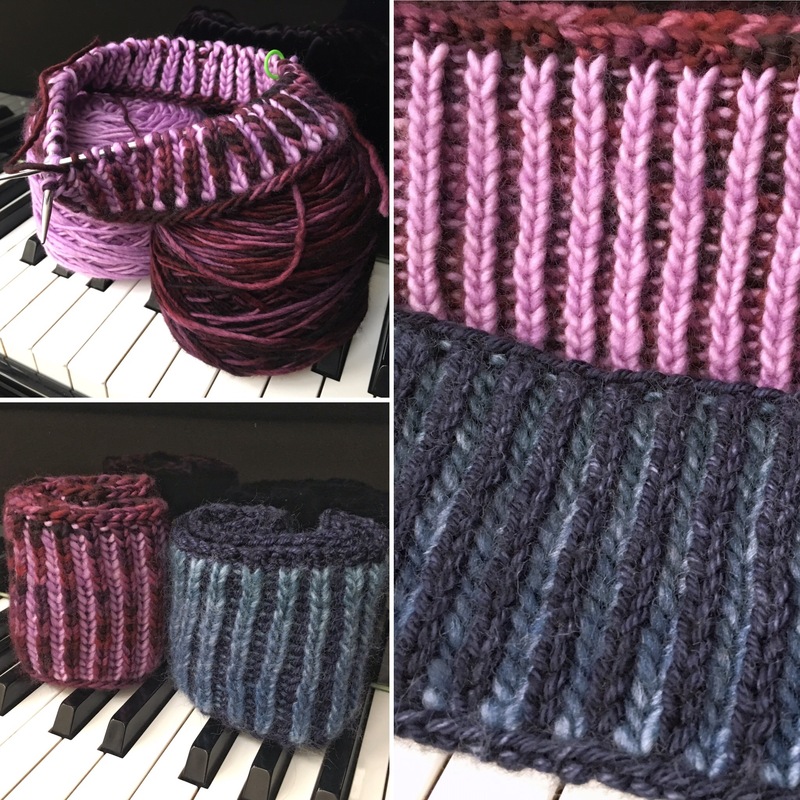 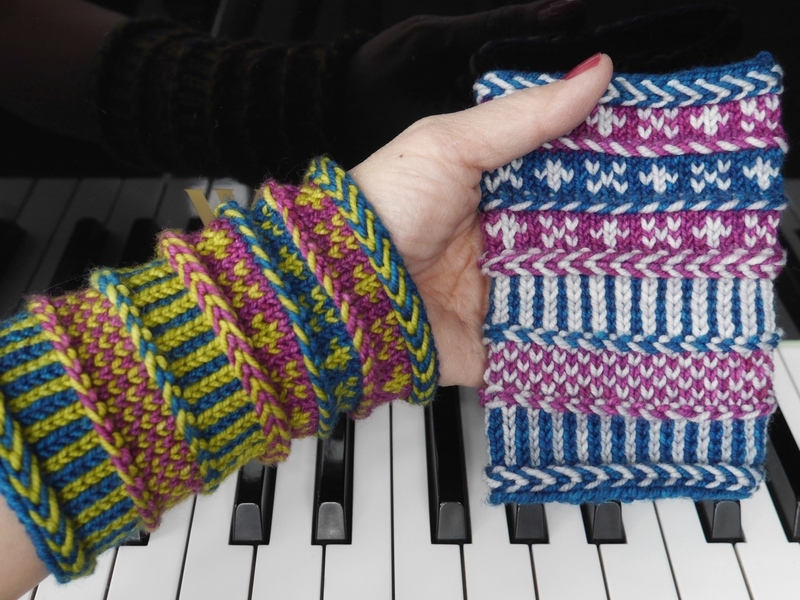 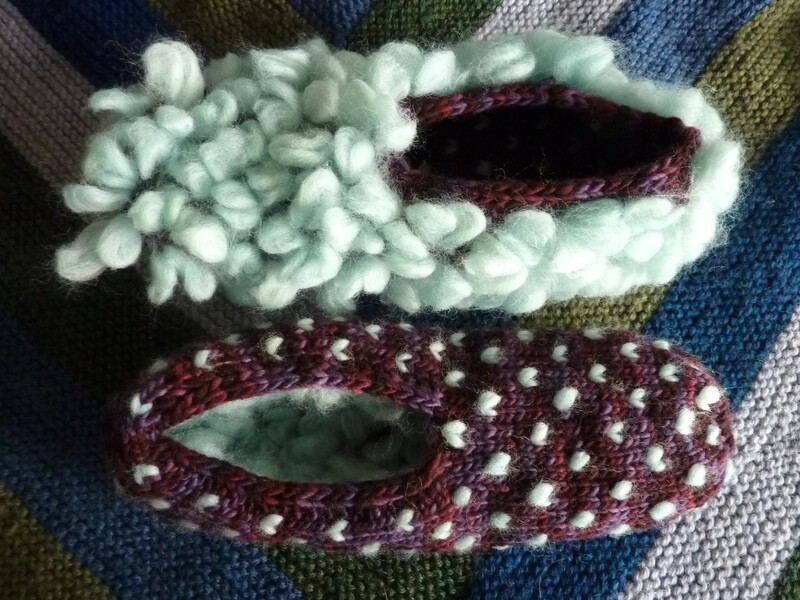 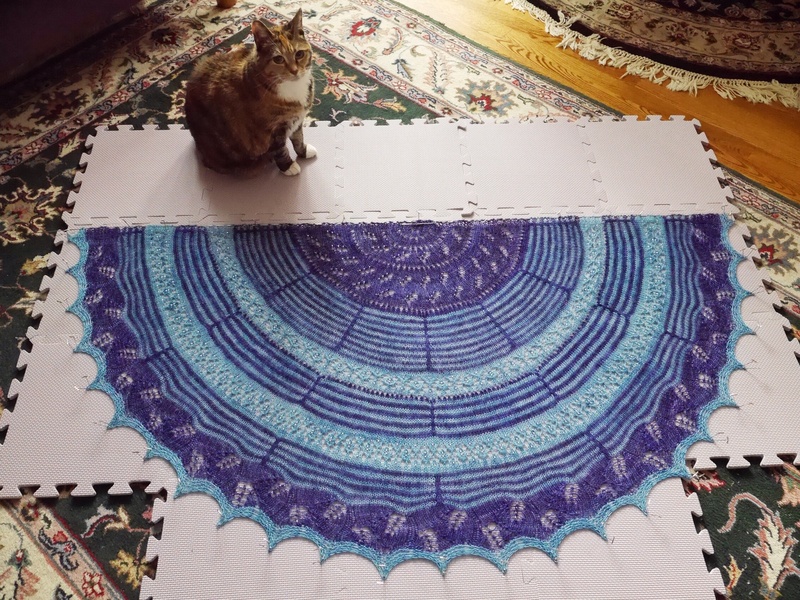 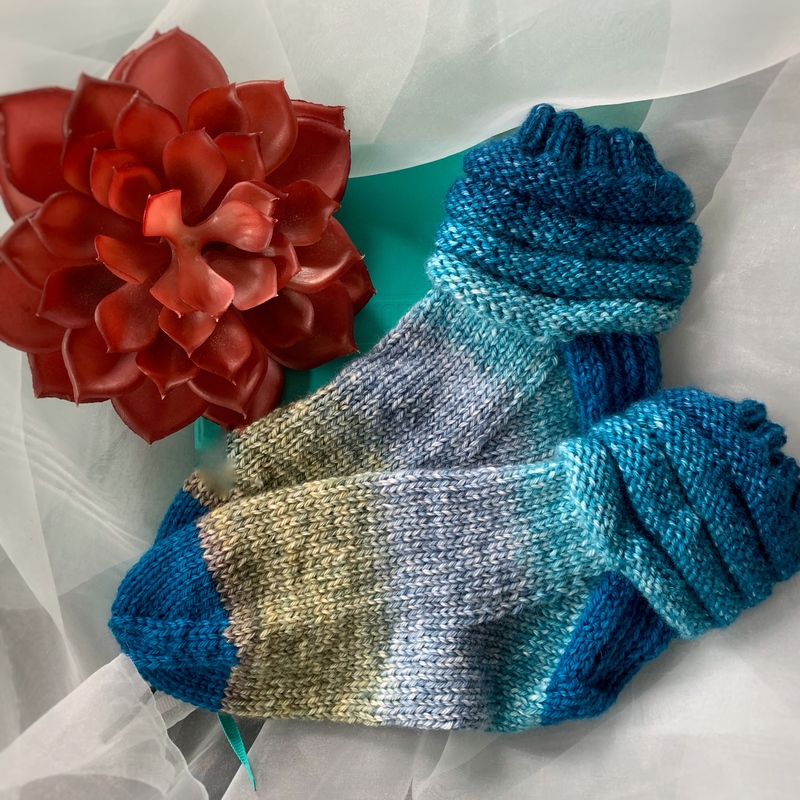 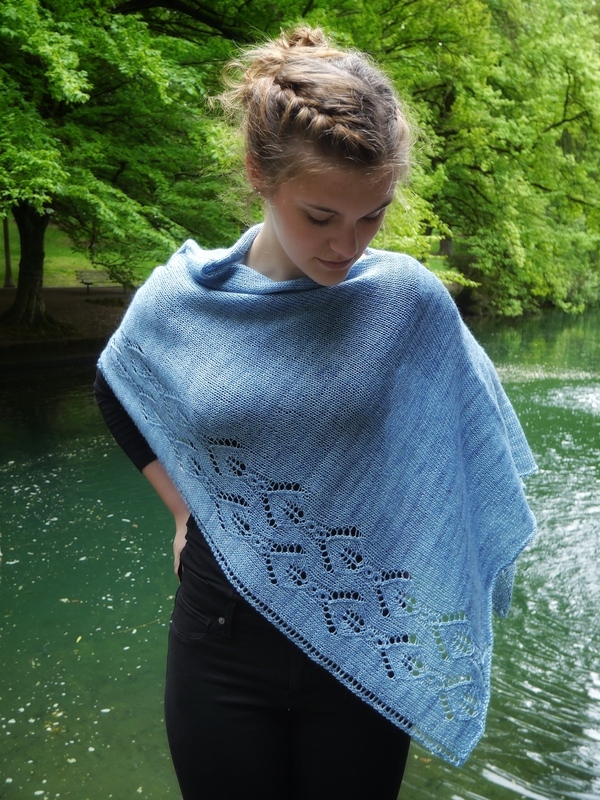 See the Rosaria project pages on Ravelry to see how knitters have made Rosaria their own. 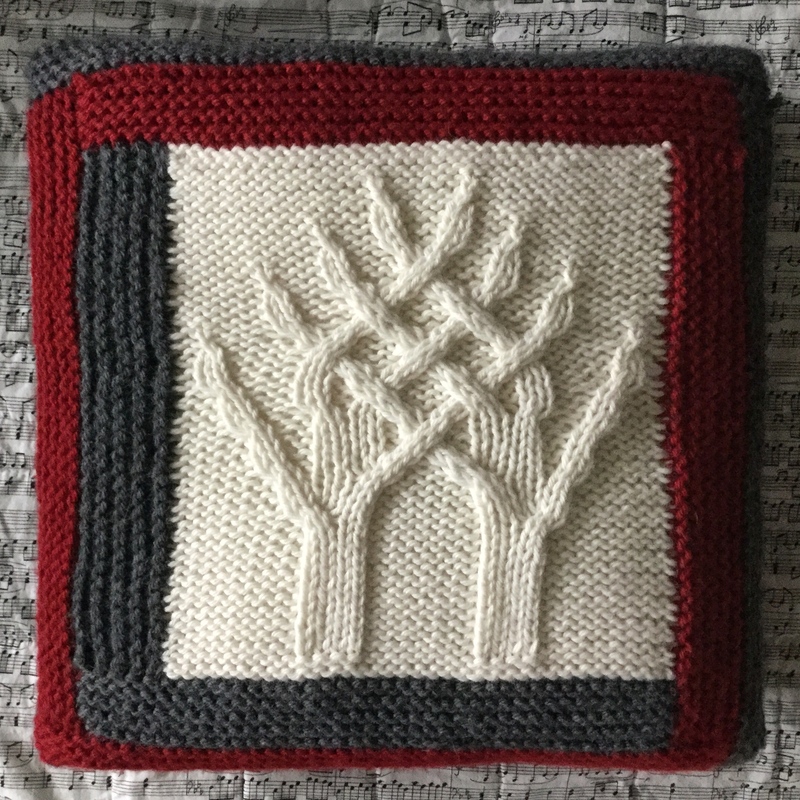 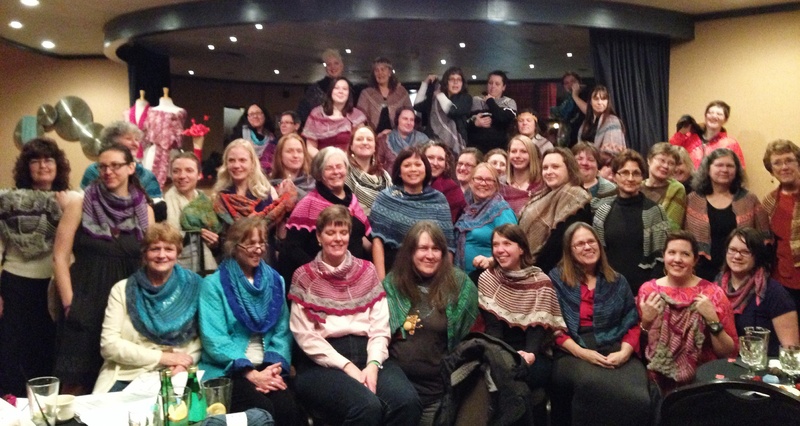 Thank you for your interest in PDXKnitterati!